October is a puzzling of months for investors. On the one hand it has a reputation for volatility – and this is well deserved. 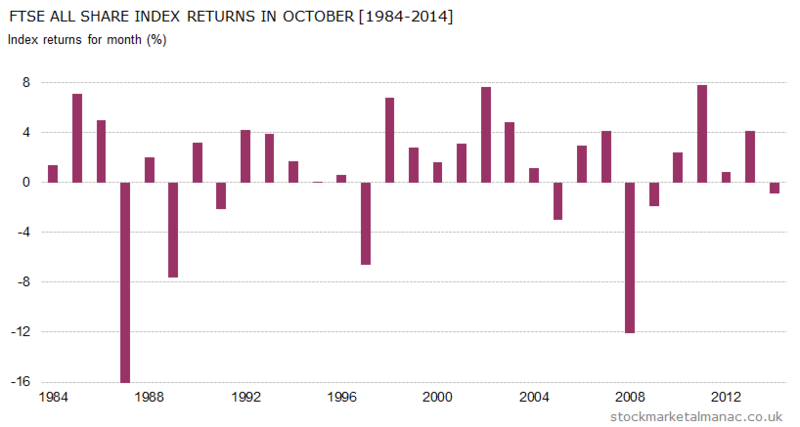 Since 1984, seven of the 10 largest one-day falls in the market have occurred in October! The largest fall happening on 20 October 1987 when the FTSE 100 Index fell 12.2%. And, additional bad news for investors: since 1970 the average return in the month has been just 0.3%, ranking it 9th of the 12 months. However, things have changed in recent years. Although the market occasionally suffers large falls in this month (as can be seen in the accompanying chart), for the most part the market posts a positive return. In fact, in the last 23 years the market has only fallen five times in October – this is a performance only bettered by December. 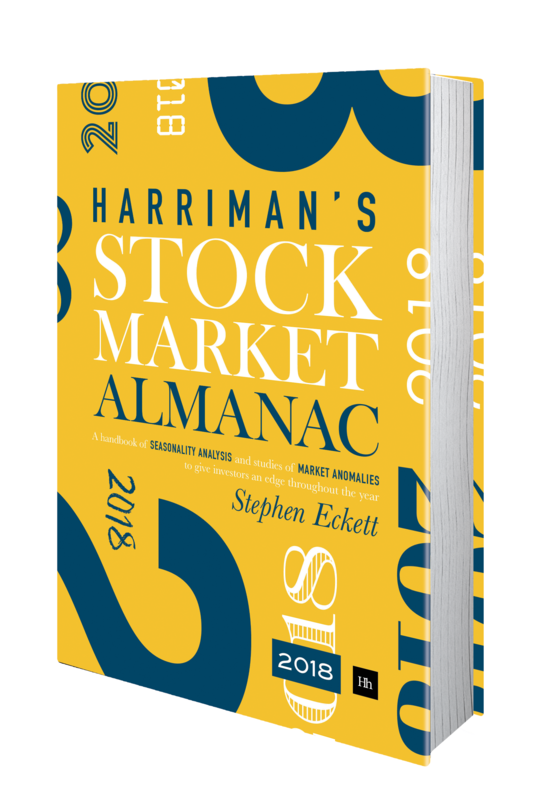 In recent years the market has posted an average return of 1.5% in this month (albeit with a very high standard deviation) – ranking it 4th for monthly performance. In an average month for October the market tends to rise in the first two weeks, then to fall back, before a surge in prices in the last few days of the month – with the last trading day (LTD) being the strongest monthly LTD of the year. Dates to watch out for this month are: 2 Oct – US Nonfarm payroll report (anticipated), 8 Oct – MPC interest rate announcement at 12 noon, and 27 Oct – two-day FOMC meeting starts.